We would like to invite you to participate as a sponsor partner on the 7th edition of the Ibero-American Congress on Sensors (IBERSENSOR 2010) to be held at Instituto Superior de Engenharia de Lisboa (ISEL), Lisbon, on November 9-11, 2010. The Congress has established an international reputation on the field of sensors and their applications gathering experts from all over the world. Following previous editions that took place in South America (Cuba, Peru, Mexico, Uruguay, Brazil), this year’s congress takes place for the first time in Europe and will be organised by ISEL. Over 70 Universities/Research Centres have participated in the last edition of the congress, mainly from Ibero-american countries, but also from the USA, Germany, Switzerland, France, Netherlands, Belgium, and the United Kingdom. Highlights of this year’s event include the 4th edition of the Sensors Workshop and the 2nd edition of Young Researchers’ Forum. Three sponsorship levels are available, each providing a specific level of recognition and opportunity for company advertisement. A sponsorship of €500 will include your organization’s name/logo on the Congress website, posters and proceedings. A sponsorship of €1000 includes all previously mentioned benefits plus additional emphasis on your organisation’s logo and an exhibit space during the congress. Setting up the exhibit space will be the sponsor’s responsibility. A sponsorship of €1500 includes all previously mentioned benefits and the opportunity to give an oral presentation on a topic of your choice related to the congress scope. 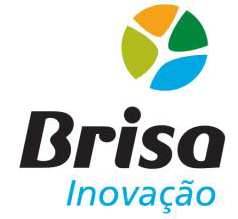 Since this event is organised by ISEL - Departamento de Engenharia de Electrónica e Telecomunicações e de Computadores (DEETC) the sponsorships may be eligible for tax deductions. We look forward to you joining us as a congress sponsor. The Organising Committee IBERSENSOR 2010.